The best contract is the one you never have to refer back to. On the other hand, if you ever do, it won’t be for a nostalgic trip down memory lane. It may the one and only indisputable basis or reminder of what everyone had agreed upon when they were playing nice together. With that in mind, clear and transparent communication up front is key for increased performance and decreased risk. As a project leader and fierce advocate of the importance of transactional drafting (writing contracts and contract scopes), I find that there are enormous opportunities with the one pivotal document that links and describes the input and output of critical project team members in the real estate improvement supply chain. Very rarely do contracts used in the architectural, engineering or construction industry fail because of legal sufficiency. And this is not intended as a substitute for good legal counsel. Instead, this is a shorthand summary of issues that I find give consumers of architectural, engineering and construction services the most grief or that are the most misunderstood or overlooked. 1. Scope: How much detail is enough? Every contract divides the risks and benefits of the transaction between the parties. Whether it’s for architectural, engineering or construction services, the scope is the meat and potatoes of the contract. On one end of the spectrum, I’ve seen design services agreements that are like pastries: light, fluffy and without much substance. On the other hand, I’ve been involved in contracts that were better described in terms of weight than the number of pages. What goes in the contract scope is often a function of who is doing the writing. As a project leader in the real estate development industry (site acquisition, architecture/engineering and/or construction), I am almost exclusively in the position of advocating for a client-consumer that is seeking to design and construct (or, if it’s a new greenfield project, building up) – their new or existing facilities. As such, I draft scopes that ensure vendor performance, close the holes in the description of work and insulate my clients from unnecessary risks. In my view, the contract scope should be able to pass a three prong test. Protect the owner from risks (i.e., change orders). It should prevent disputes or misunderstandings by clearly communicating to both parties (good communication and transparency is key). Lastly, it should be broad enough such that there are no gaps in performance between the architectural, engineering and construction team. 2. Risk: How well are you protected? A poorly drafted scope section of a contract is the “Welcome” sign for additional costs and almost limitless risks. On the other hand, a well crafted scope is also the greatest opportunity for proactive cost controls and risk avoidance. 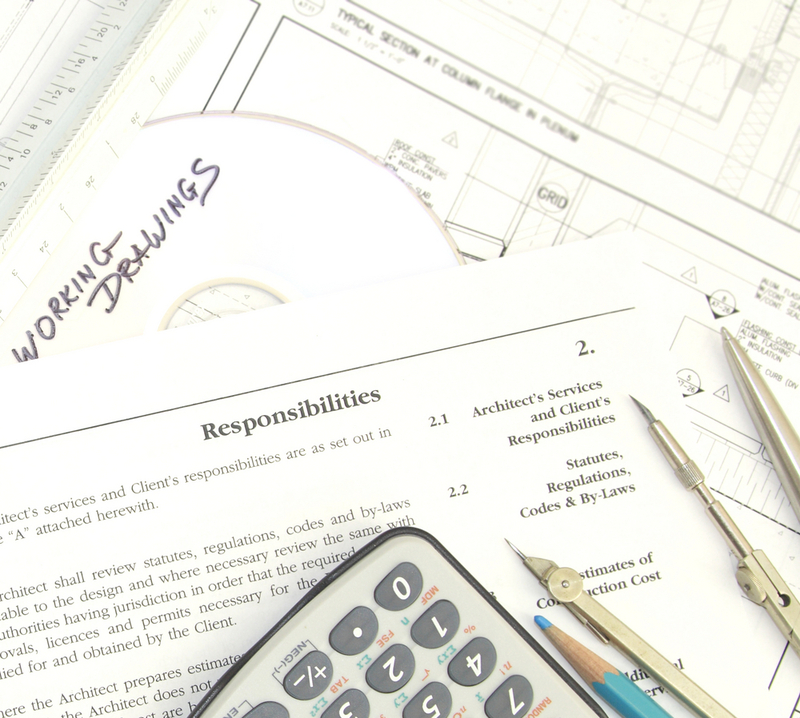 This is so for two reasons: (1) the contract drafting–whether it’s for design or construction services–naturally occurs before any work is performed. This means there is an invaluable window of opportunity to build risk protections into the agreement, and (2), this window opens early in the overall project life cycle so that in combination, this one-two punch gives users and project leaders an unparalleled opportunity to apportion risks, control costs and define deliverables before the risks arise and the costs are incurred. 3. Exit strategy: Getting into an agreement is the easy part. Every agreement should be constructed so that the parties can exit without undue angst or pain. This is another area that is woefully overlooked. As a professional project leader and advocate for tenants, investors, and users, I’ve found that being able to pivot and exit an agreement or change vendors without undue costs or risk is critical to the success of a project. However unsavory it is to contemplate, some business arrangements need to be terminated. If the agreement provides no guidance as to how this is accomplished and how the handoff of deliverables and the payment for past work is taken care of it creates a recipe for disaster. Sadly, a few vendors will actually rely on a user, investor or tenant’s inability to terminate the agreement. Every agreement should have a clearly understood and clearly communicated exit strategy for either party; including exchange of deliverables that ensures the continuity of the project. Change orders are always an unwelcome surprise. Setting aside the unanticipated, budget busting, additional capital costs piled on to what is probably already a project at its budget limits, many contracts fail to articulate the formula or calculation by which a change order is calculated. This opens a Pandora’s box of issues. What costs can the vendor include with a change order? Administrative costs? Overhead? Profit? How much profit? How is profit calculated? What about mark-up on materials? Setting aside all the potential component parts of a change order, like insurance, overhead, administrative costs, supervision, materials and God knows what else, what determines (or better said, what limits) the amount of markup? The answer is, without some experienced forethought, not much. I recently completed a large manufacturing project that unfortunately was subject to a sizable amount of change orders. In doing our review of change orders, we discovered that they included startlingly high material cost. After much back and forth, we determined that the contractor’s subcontractor was using an arbitrary industry-invented material costing formulation. There was no basis in actual costs. Worse yet, the contract was silent as to how change orders were to be calculated. So don’t leave this area to chance. Set forth precisely when, how, and the calculation for all conceivable project change orders. 5. If it’s not in writing, it doesn’t exist. This section may seem blindingly obvious. However, underlying the four points above is another axiom of good scope drafting. And that is everything about the scope and the agreement between the parties must be in writing. When in doubt, write it down. In the same way that “good fences make good neighbors,” contracts that are expertly drafted, transparently negotiated and communicated with expert professionals ensure efficient, effective and cost savings between users and expert vendors. 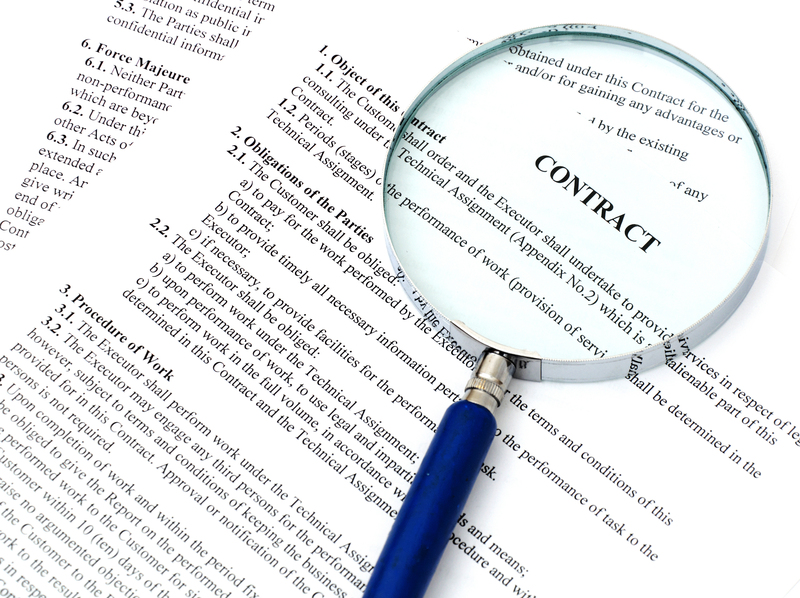 A legally sufficient contract is a fairly basic undertaking. But don’t go it alone. Align yourself with an attorney or other subject matter expert who can skillfully help you navigate beyond the terms and conditions or legal sufficiency of the agreement and ensure that tactically and substantively the contract acts as not only the glue binding the input-output of the participants in your project, but also as a crucial communication tool and barrier to insulate and protect the user from unknowns or unbounded costs that are best put in the court of the expert professional. Do this, and you’ll be well on your way to building success into your next project. Tom Conzelman is President of Apex Project Consulting, Inc., a full spectrum project development and construction management consulting firm for commercial, industrial, healthcare and retail projects; both locally and across the United States. Mr. Conzelman is a licensed electrical contractor and general contractor (www.apexpjm.com). In addition to various project management credentials, Mr. Conzelman graduated law school from Western State University, College of Law and has taught Contracts-for-Contractors at the college level. This not an offer or attempt to provide legal advice. Video Conferencing: The virtual project team is here now.